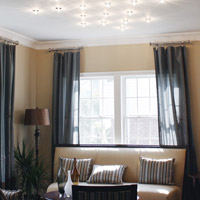 As a place where we tend to relax, you want your choice of lighting to fit in with your needs. Whether that means strictly functional overhead lighting or a bedside sconce to give you focused reading light is up to you. To start the space's design, bedroom chandeliers are a great way to establish a calm, luxurious environment with a simple flick of the switch. 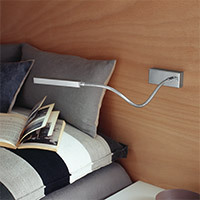 Their unique designs and adjustable lighting allow you to set the mood whether you’re reading or romancing. 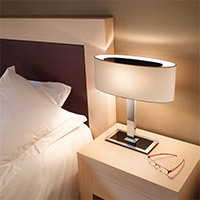 Bedside table lamps, floor lamps, console lamps and accent lighting would fit well on your nightstand, brightening your twilight hours in a warm, serene light. 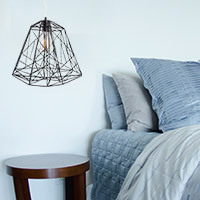 Or, consider hanging a couple of pendants above the nightstand as a unique approach to bedside lighting. 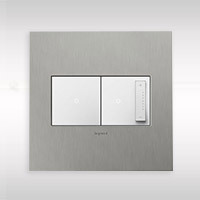 Sconces with switches and those that simply plug-in make life convenient and easy, which will in turn help you to sleep peacefully. 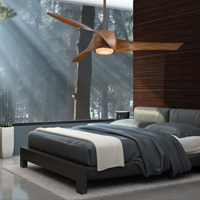 And finally, you may need a way to keep the room cool during warmer months -- be sure to check out the selection of ceiling fans meant for the bedroom. Many of the available ceiling fans include options for integrated light kits too. With the right choice of lighting for the bedroom, you'll easily create a calm, relaxing space you will enjoy. Your bedroom may not be as bright and on display as the kitchen or the entryway, but you still want to choose fixtures that blend in with your existing decor. 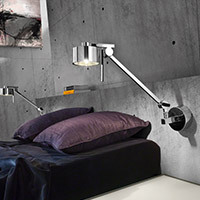 While most bedroom light fixtures in this assortment are inherently modern, they are able to fit right in with a variety of interior preferences. Transitionally styled bedrooms will appreciate fixtures from George Kovacs for their use of finishes and materials that can work almost anywhere. 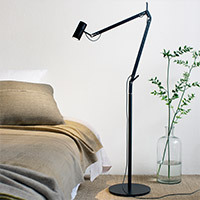 A table lamp from Pablo finds its home on bedside tables of contemporary bedrooms or look to the Tolomeo collection from Artemide for a bedside sconce that mounts to the wall. For a solution that fits almost any style of bedroom, look to Tech Lighting and finally, if you prefer energy efficiency in your light fixtures, be sure to browse the LED bedroom lighting available. 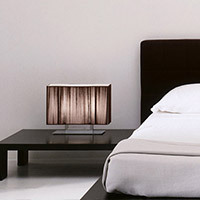 The appropriate lighting for the bedroom is best chosen by deciding what its main function should be. 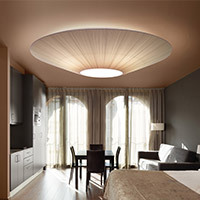 For ambient overhead illumination, you'll need a selection of flushmounts or recessed lighting. 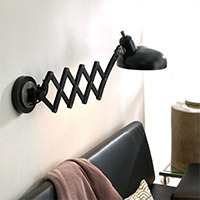 For a bedside reading light, an adjustable arm sconce is your best bet. Once you know the intended purpose of the lighting you are browsing, you can then refine your options by the sizes available. Whether it's a chandelier or a portable table lamp, you'll need to keep in mind dimensions like height, width, length (for adjustable arms) and weight. And be sure to review the fixture's required bulb to be prepared with the right light bulb. 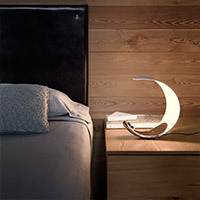 If you have any questions about the bedroom lighting featured here, please call our experts at 877.445.4486.